← Teens: How Would You Like to Spend Your Summer at Randall’s Island? 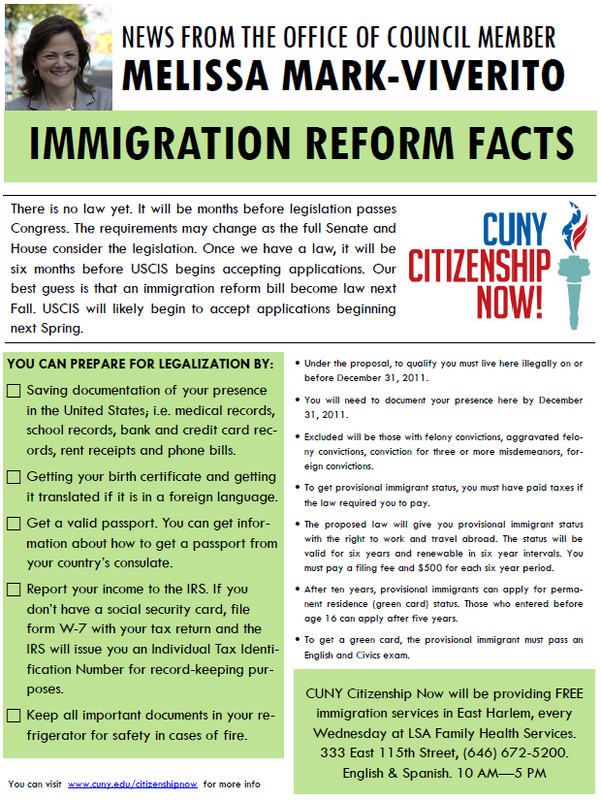 Visit CUNY Citizenship Now’s website. It’s a great resource to learn about everything from protecting yourself from immigration fraud to finding English language classes and preparing for the citizenship test. You can download the PDF of this flyer to share with your network through this link. This entry was posted in Blog, Citywide, East Harlem, Manhattan Valley/West Side, Mott Haven and tagged citizenship, CUNY Citizenship Now, green card, immigrants, Immigration Reform, proposed legislation. Bookmark the permalink.